hi matrix 17:58 and welcome..
just take a gander at the sidebar here at ‘OASIS’ and its body of info and you will see our foundings and the why and where and who of it all. we all are very aware of the site you notice in your post and in fact i for one was one of the 3 founding members back in feb of 2007 when it was known as ‘posters paradise’. i’m sure you notice i no longer post there and the sidebar or even the hyperlinks above make it easy for you to know the ‘why’ of it if you have that interest. 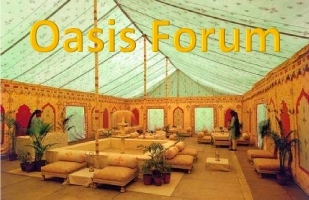 again welcome to oasis and i’m sure we look forward to what you can contribute to our forum which is part ta part fa part political part medical part world informative and part social i guess would be the best way to explain ‘goldtent oasis’.